Not everyday one gets a chance to see a beautifully customized Royal Enfield Classic 500 on Indian roads. 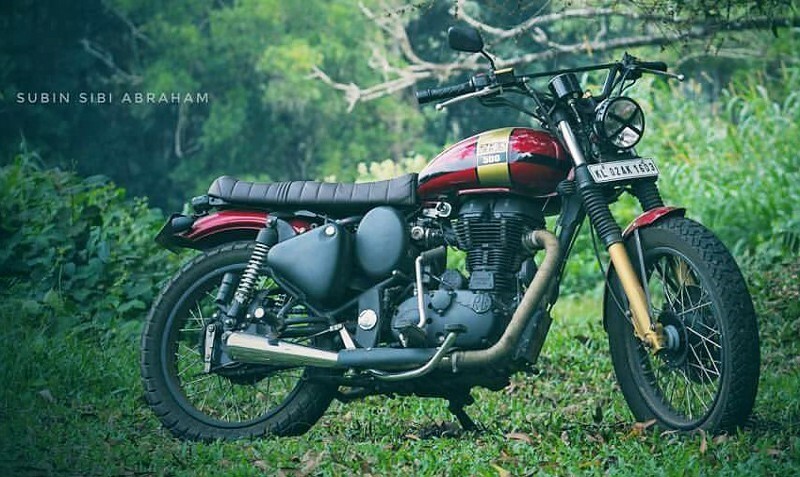 Thanks to Deepu C Pillai for sharing the photos of Classic 500 Zeus, a completely customized Scrambler by Holy Crank Customs. The name Classic brings that standard retro modern design into your mind but here, story turns completely different with no component moving into that historical direction. 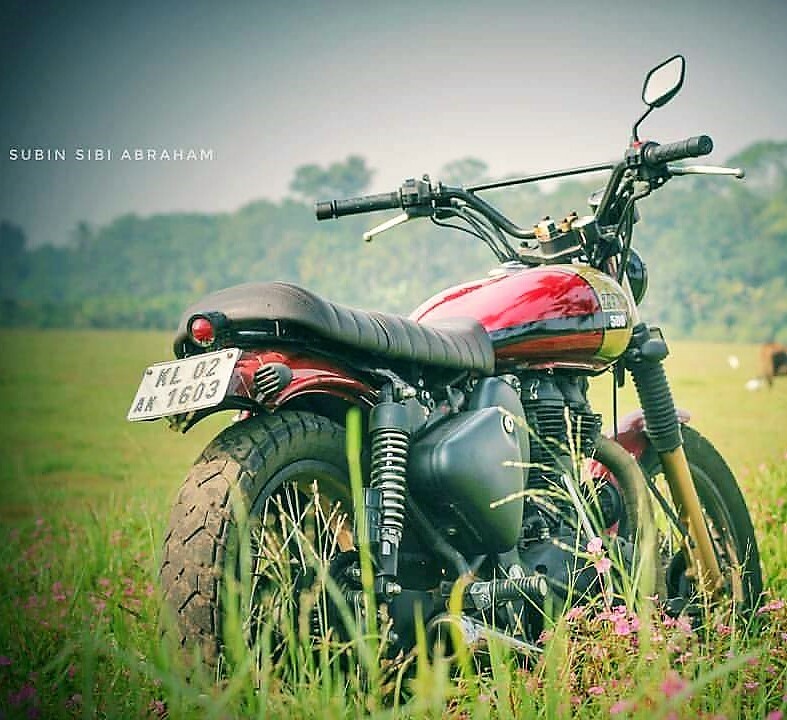 It was made with the purpose of achieving unique identity and thus, you would love riding on that ribbed, flat seat that looks and feels unique from any other production spec Royal Enfield. 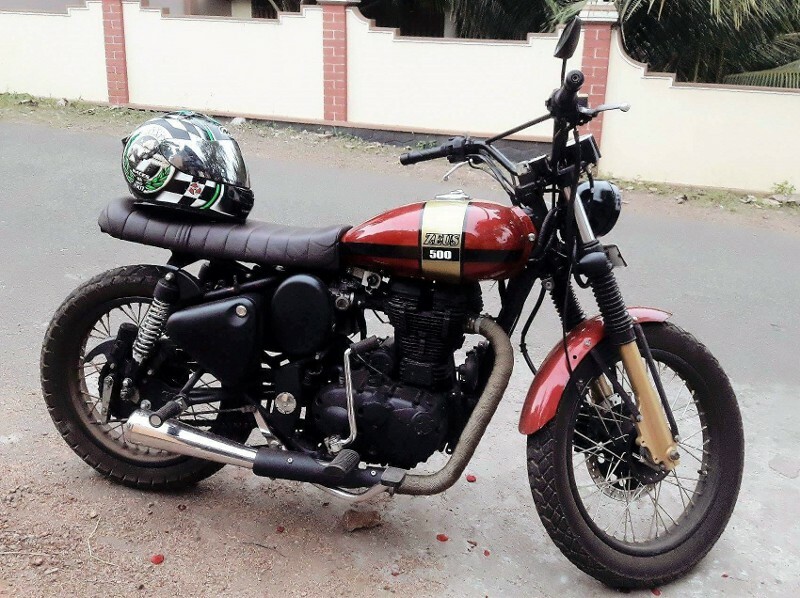 Based on a 2013 RE Classic 500, the engine was covered in dark theme and given a custom free flow exhaust unit in place of the extra long Royal Enfield exhaust. The handlebar was replaced with a custom bar that is higher placed than both Bullet and Classic series. This helps maintain an upright posture on the new seat and even facilitates ‘stand up and drive’ position on off-road tracks. 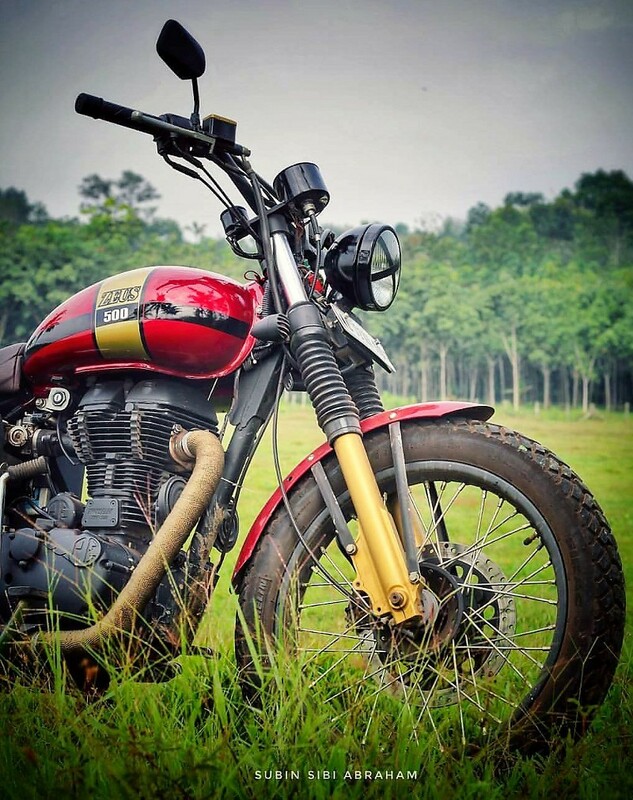 The front suspension was sourced from Thunderbird series as they have thicker forks and better ride quality when compared to Classic range of bikes. Zeus was given a small performance bump with NGK Iridium spark plugs and BMC air filter, coupled with the performance spec exhaust for better on-road output. The fenders are custom built and much lighter than the stock version. 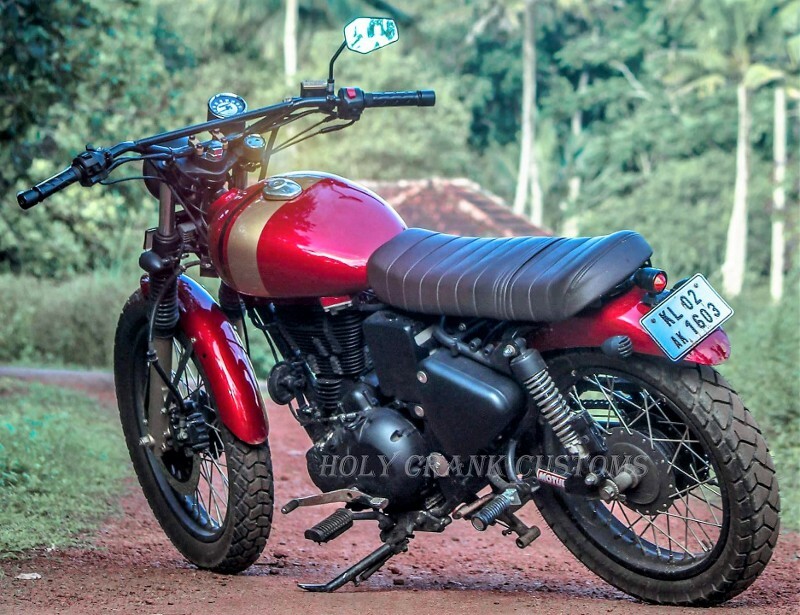 The rear one can be removed for a complete Scrambler feel but that makes it unfit for road use as brake light, indicators and number plate goes missing with the same. Dual purpose tyres were used on Zeus to help it achieve optimum grip while off-roading.